To prevent young people being left stranded and disillusioned on the dole, we need to move away from ‘one size fits all’ approaches. This week marks the unceremonious end of the government’s Youth Contract Wage Incentive, a fund established in 2012 to help tackle youth unemployment. 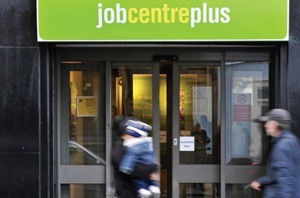 The scheme, which paid £2275 to employers recruiting an unemployed 16-24 year old for six months, was originally expected to last three years, but its premature withdrawal comes as no surprise. As a charity that works with creative organisations to recruit young unemployed people, there has been little or no awareness of its existence amongst employers we work with. One of the reasons the Youth Contract failed to live up to expectations is exposed by the areas in which it’s been reported to have achieved limited success: large employers in the retail and hospitality industries. Whilst these are obviously perfectly respectable jobs, they are sectors that already engage, and will continue to work with Jobcentre Plus, regardless of funds like the Youth Contract. To prevent young people being left stranded and disillusioned on the dole, we need to move away from *political jargon alert* ‘one size fits all’ approaches and create more targeted back to work programmes, compatible with today’s employment market. DWP figures published in 2013 show small businesses alone (0-49 employees) account for 47 per cent of private sector employment. Future back to work schemes must engage small businesses and be employer led from the outset. Over the last year, the Creative Society has worked successfully on the Arts Council’s Creative Employment Programme (CEP), a scheme almost identical in principle to the Youth Contract: paying arts and cultural employers £2500 when they recruit an unemployed 18-24 year old for six months. Why is this working where the Youth Contract failed? Because it has been created and administered by people that understand the sector and the needs of arts organisations across the country (almost all of which are small businesses). The CEP, on the other hand, has been structured to encourage employers from sectors within the arts, music or theatre for example, to work together and address the areas where unemployed young people lack skills. Because of this focus on sector expertise, more employers are accessing the funding and opportunities for young people to cut their teeth in an industry previously inaccessible to them. Similarly, initiatives like Tech City Stars are enabling young people from some of the most deprived boroughs in the UK to access the new technology jobs that exist on their doorstep. Again it is working because small and medium sized technology employers are working directly with the Jobcentres to create training programmes which address the skills shortages they see in local young people, such as coding. It is not only a sector based approach that has worked for us. Much has been written about the difficulties charities face working in a ‘payment by results’ environment, and we are no exception. However, we’ve made it work by adopting a localised approach. We forged informal partnerships with a range of organisations, from local businesses and employers to Jobcentres, local councils and specialist youth charities. Collaborating with organisations that understand the local community and the barriers to employment young people in South East London face has enabled us to help many more young people, despite the confines of the payment by results contract we are working under. Not only do interventions need to be tailored to different sectors or regions, but also to young people themselves. Programmes which treat young people as a homogenous group will inevitably fail to help those who need the most support. Too many young people come to us without the basic levels of literacy and numeracy required to secure an apprenticeship or entry level job. Payment by results can work in some instances, but young people with drug or alcohol problems, mental illnesses or those at risk of homelessness, need more intensive support and realistically aren’t going to find work in 13 weeks. Solutions are difficult as it’s such a polarised and reductive issue. Any suggestion is accused of either propping up our ‘something for nothing culture’, punishing the poor, or in some instances both. Regardless of ideology, however, the incentive for government must be to create programmes which provide intensive, long-term training to those most in need if we are ever going to tackle the root causes of youth unemployment. The CEP is targeting genuine vacancies in a field which is doing okay very much despite the Tories. Education may be blind. it shouldn’t be. Which is ironic when compared to the justice sector.